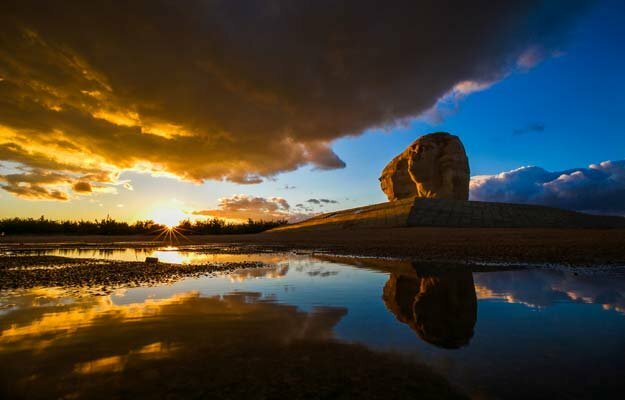 Located in northwestern Hebei Province, Zhangjiakou comprises six districts, ten counties, two administrative areas and one economic development area. It occupies a total surface area of 37,000 square kilometres and has a total population of 4.68 million. Zhangjiakou is situated at where Beijing, Tianjin, Inner Mongolia and Shanxi Province meet, and is only 180 kilometres away from Beijing. It constitutes a key portal between Beijing and northwestern China, as well as a critical component of the Capital Economic Rim. Zhangjiakou is well served by transport and highly accessible. It is home to six railways, seven expressways, nine national highways and 20 provincial highways. Its public road network spans a total of 21,000 kilometres, among which 926 kilometres are expressways, making it top of the country. Zhangjiakou Ningyuan Airport now operates flights to Shijiazhuang, Shanghai, Shenzhen, Shenyang and Haikou. Their three-dimensional transport system is gradually taking shape. The construction of Beijing-Zhangjiakou Railway is under way. Once open, the Zhangjiakou Zone may be reached within 50 minutes from downtown Beijing, and its development will join that of Beijing. The city has six expressways (Beijing-Lhasa, Beijing-Urumqi, Zhangjiakou-Shijiazhuang, Zhangjiakou-Chengde, Zhangjiakou-Zhuozhou and Xuanhua�CDatong), four national highways and 15 provincial highways. Its total public road network reaches a total of 21,000 kilometres, making it top of the country, while its total expressway network is ranked second of the province. Currently, the construction of the stretch from Hebei Province and Inner Mongolia to Guyuan County of Erenhot-Qinghuangdao Expressway; the stretch from Jiaoni Bay to Shanxi Province of Beijing-Urumqi Expressway is underway; and the stretch from Chongli County to Chengde City of Zhangjiakou-Chengde Expressway is underway. The total length of construction is 295.1 kilometres. Zhangjiakou is steeped in history. The Nihe Bay is believed to be the birthplace of East Asians, while the Emperor Town in Zuolu County is said to be where the three ancestral tribes of Yan Emperor, Yellow Emperor and Chi You formed alliances. The city therefore upholds historical and cultural prominence as the place where East Asians and Chinese civilisation emerged. Zhangjiakou has been a key inland trading port in northern China since the Ming and Qing dynasties, and along with Guangzhou, is known as the “dual ports”. The Zhangjiakou-Kulun (present-day Ulan Bator) Trade Route, which rivals the Silk Road, begins here. In Zhangjiakou City, the number of identified unmovable cultural relic spots is 7899, among which 49 are cultural relics under national-level protection, 80 under provincial-level, 36 under city-level, 654 under county-level and 7080 under common level. All these cultural relic spots include ancient sites, ancient tombs, ancient constructions, ancient cities, steles and relics in memory of revelations happened in modern times. 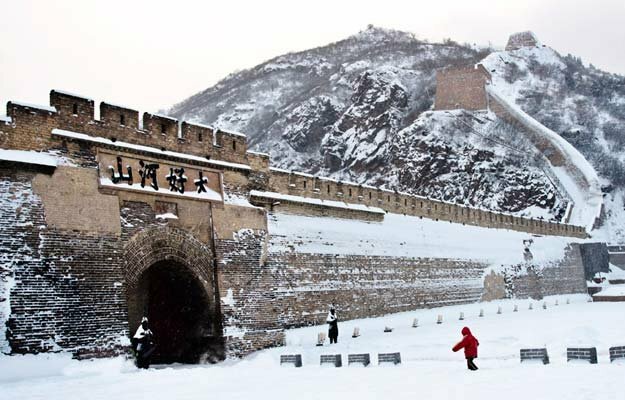 Within Zhangjiakou City, there also exists the Great Wall which was built in 8 different eras and extends about 1471 kilometers, whose length accounts for 2/3 of total mileage of the Great Wall in Hebei Province and 1/6 of the whole country. There are 10 more categories of intangible cultural heritages of Zhangjiakou City, such as traditional opera, folk handicrafts, folk music and folk dance and so on. Currently, 1 of them has been listed in the Representative List of the Intangible Cultural Heritage of Humanity issued by United Nations Educational, Scientific and Cultural Organization (UNESCO), 5 in the national list, 36 in the provincial list and 127 in the city list. The Zhangjiakou Zone, located in Chongli District, has a history of ski industry for nearly 20 years. Currently, there are 5 existing ski resorts in operation, making it the leader of the national ski industry. It is also a popular ski and holiday destination for ski enthusiasts from surrounding countries.. 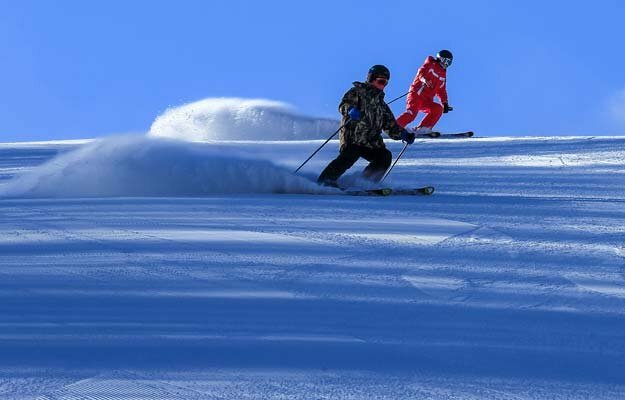 The Zhangjiakou Zone with a total of 8 competition and non-competition venues, will host 2 sports (Skiing and Biathlon), 50 events out of 6 disciplines (Snowboarding, Freestyle Skiing, Cross Country Skiing, Ski Jumping, Nordic Combined and Biathlon). Beijing 2022 will use existing resources of the ski resort, and all the renovation works will incorporate with the venue development needs. In this way the construction of Genting Snow Park A and B will be the most cost effective. The Olympic Village in Zhangjiakou Zone will accommodate 2,640 athletes and team officials.